We’ve all got to start someplace! But, you know what? We’ve all been there, and there just may be someone who has the same question as you–but were too afraid to ask. That’s actually one of the great things about a guided group bike tour. You’ll have a chance to connect with other people, see what they’re using, and hear about their questions and challenges. 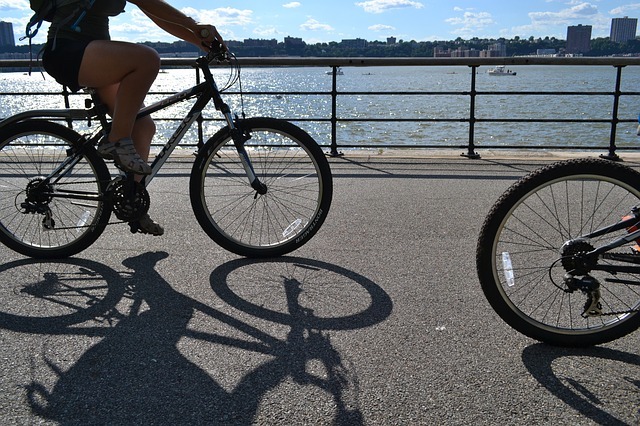 Bike Rental Central Park has all the answers for you. Strava is a social media app specifically targeted for athletes. It’s free, and it gives you a sense of community; just as you connect with people on Facebook or Instagram, you connect with other, only more like-minded, individuals here. They’ll support and encourage you, which might make you more motivated. You might hear the answer to that question you were afraid to ask–but maybe you’ll ask it because, well, they can’t see you! The best thing! You can actually track your performance on this, so if you’re training for an event, that can be especially helpful! Is it too shallow to not want to wear a helmet and mess up my hair? That question isn’t shallow at all–but you DO need to wear a helmet. Even if you’ve been biking for years and are the most skilled and advanced at it, falls and accidents can happen. Protect your brain. Should I avoid biking when it’s rainy or cold? Nope, just be sure you’re dressed properly. Nothing’s worse than cold, wet feet, so be sure you have plenty of wool socks. Bring some extras with you in case you need to change–no one wants to hang out with cold or wet feet! Scarves are pretty important too, and you might want one that you can pull up to your face (without obstructing your view, of course. That wind can often whip up fast. If you can fit full fenders that cover most of the wheel, this eliminates spray that can make a post-rain ride miserable. For snow or bikes with bigger tires, a front and rear mountain bike fender still makes a considerable difference. Check out a bike store for mudguards or fenders; they eliminate that spraying that can make a rainy bike ride so unpleasant. What about underwear? Do I need it if I’m wearing cycling shorts? Actually, no. Biking shorts were specifically designed to keep friction at bay, while still keeping you dry–so there’s no issue of personal hygiene (or lack of therein.) Underwear has seams, and seams cause friction, so you don’t want to add any! Okay, what’s a ‘clipless’ pedal? All that means if they’re the ones you clip into with cycling shoes with cleats on the bottom. Bike riders used to use them before the current pedals with cleats came on the market. Many bikers prefer them because it helps performance. Non-clip pedals, while not as popular, will help you with certain skills. Our pros at Bike Rental Central Park will be able to help you figure out which type of pedal is right for you. “Biking is great fun, and it can be very healthy,” said Blair Nicole, spokesperson for Bike Rental Central Park. “It’s a convenient, cheap form of transportation–plus you’ll be getting a lot of fresh air and exercise. But NEVER be afraid to ask any question; the answer can only make your ride that much more pleasant and safe.